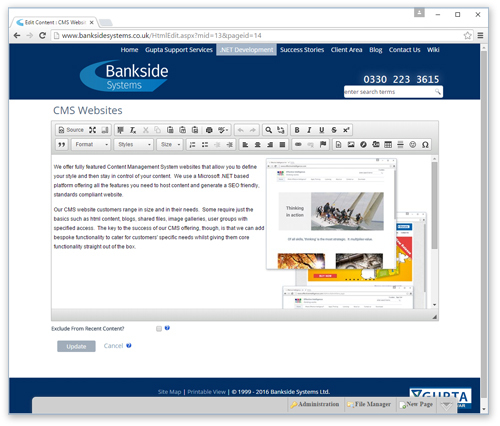 CMS Websites - Bankside Systems Ltd.
We offer fully featured Content Management System websites that allow you to define your style and then stay in control of your content. We use a Microsoft .NET based platform offering all the features you need to host content and generate a SEO friendly, standards compliant website. Our CMS website customers range in size and in their needs. Some require just the basics such as html content, blogs, shared files, image galleries, user groups with specified access. 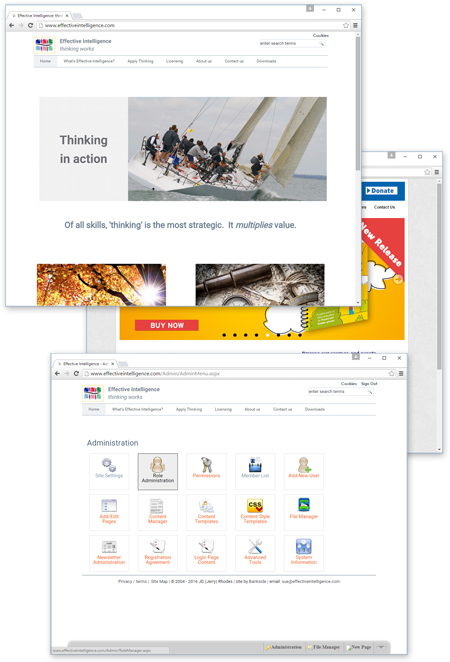 The key to the success of our CMS offering, though, is that we can add bespoke functionality to cater for customers' specific needs whilst giving them core functionality straight out of the box.